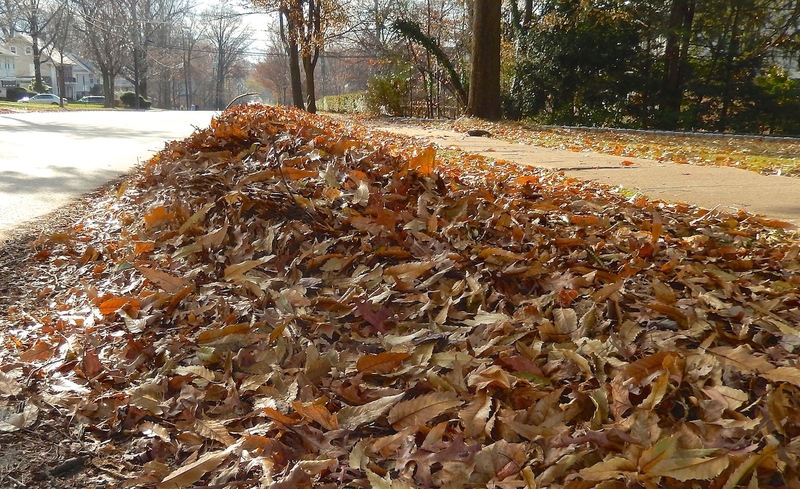 You may have already raked or blown your leaves, but mysteriously they just keep piling up anyway. The green and less expensive thing to do is actually to use a mower to shred them and leave them on the lawn as fertilizer. You don’t need to mow in your garden, just leave them there as extra insulation for the plant roots that need a bit of protection from the snow. 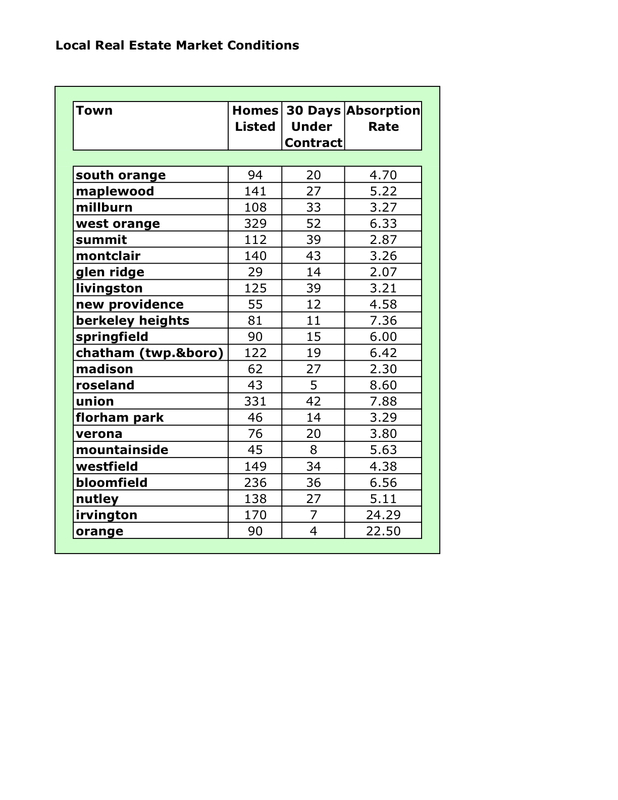 But if you just want them gone, here is a list and links to more detail about leaf removal schedules in a few Essex & Union Co. towns. 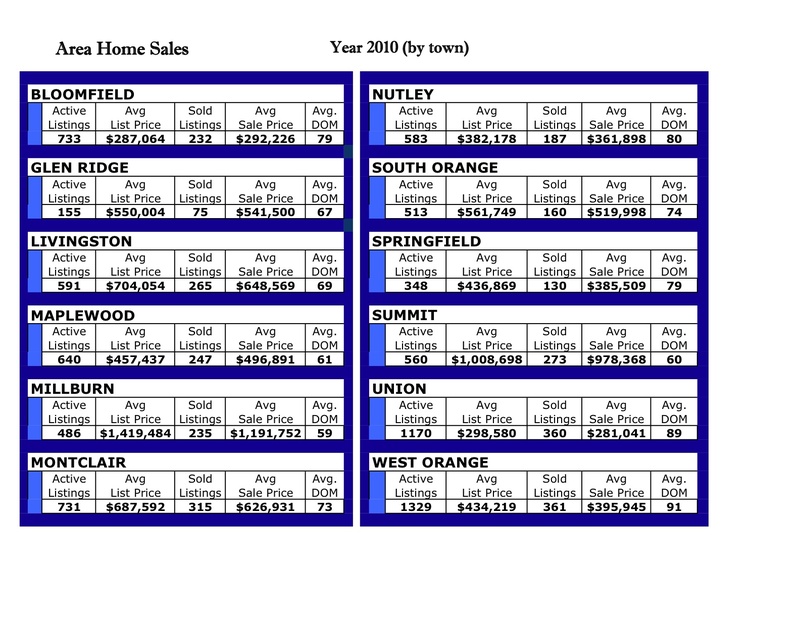 Here are the sales numbers for the year 2010 in Suburban Essex and Northern Union counties. 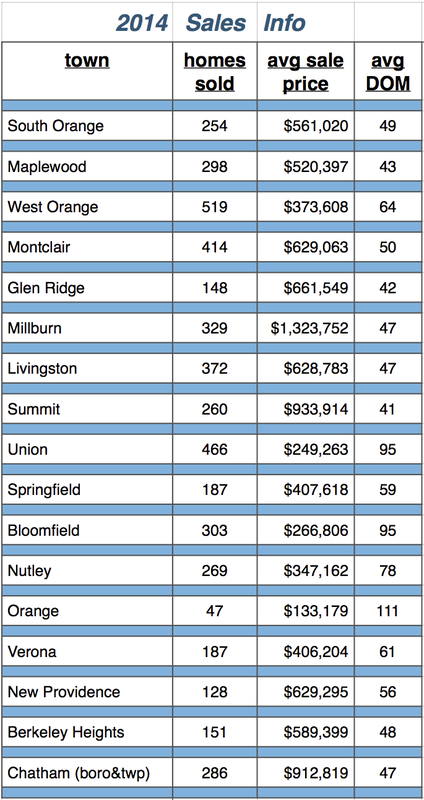 Buyers are returning as the number of sales (sold listings) increased over 2009 figures for the following towns: South Orange, Maplewood, Millburn, Montclair and Summit. 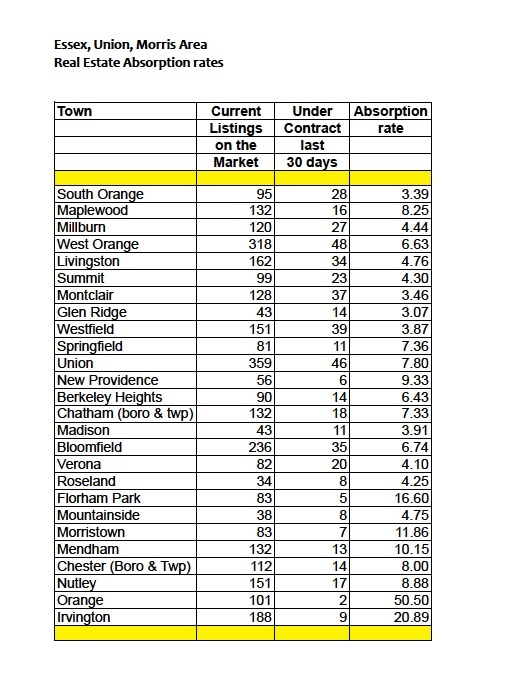 The towns closest to the train lines are feeling the recovery before the others (figures from Garden State MLS). Please call me if you’ve got any questions about these figures or would like a complimentary CMA (comparative market analysis) done for your home.